For anyone who hasn’t heard of the discipline ‘cyclocross,’ it’s riding a slightly inappropriate drop-bar bike on road, off road, through sand—and across whatever terrain gets in your way. 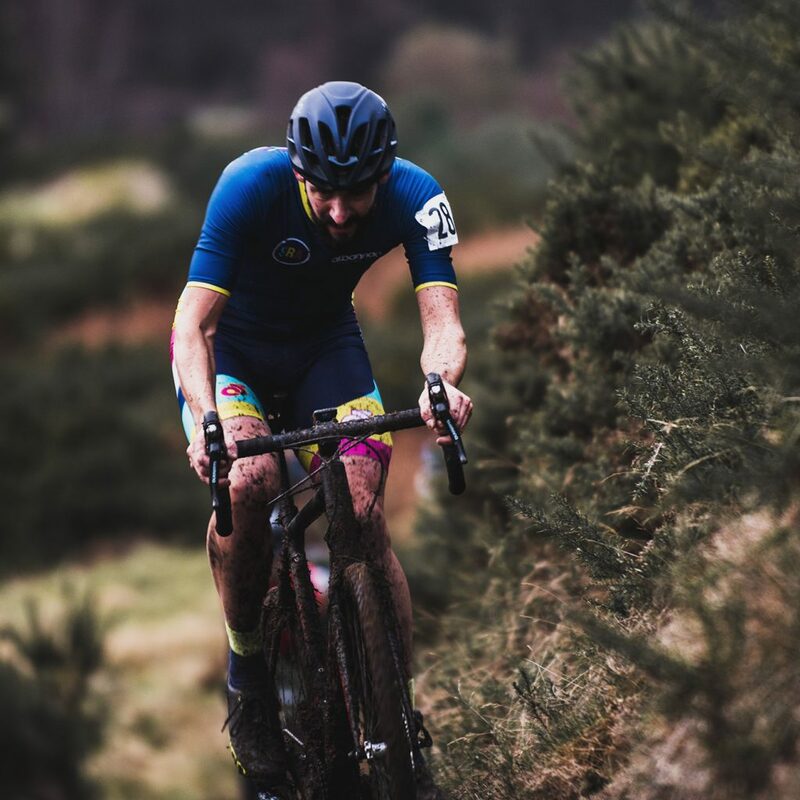 A growing discipline in the ever-expanding world of cycling events, it’s especially popular in autumn and winter when the roads are icy and you don’t have enough deep winter kit. 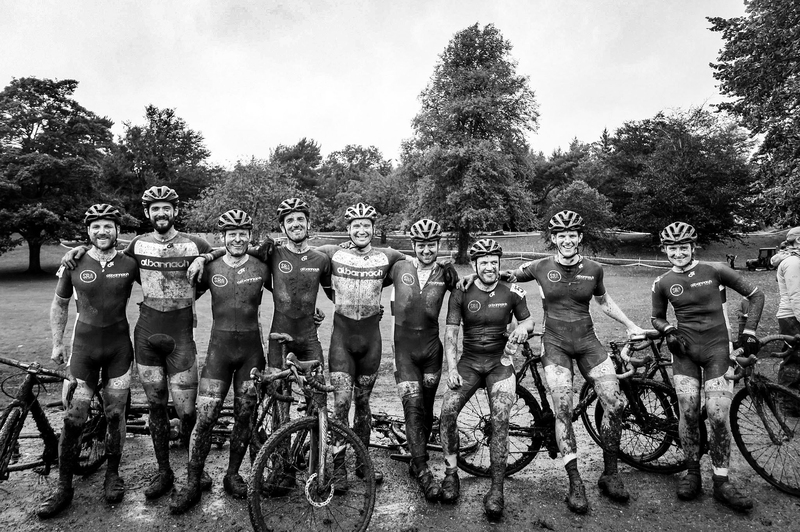 To stay warm and get a bit of a sweat on, riders take to the grass for sub-hour, high-intensity, muddy racing to stay fit for summer and have a bit of a laugh. Racers are cheered on, often in the rain, by onlookers holding thermos flasks of tea and homemade flapjacks while they frantically ring cowbells and shout at the top of their lungs. On paper, the idea of cross doesn’t make sense. In reality—it makes for a brilliant day out. Neil races cross for a club called Albannach (the literal Gaelic translation meaning ‘to belong to Scotland’). 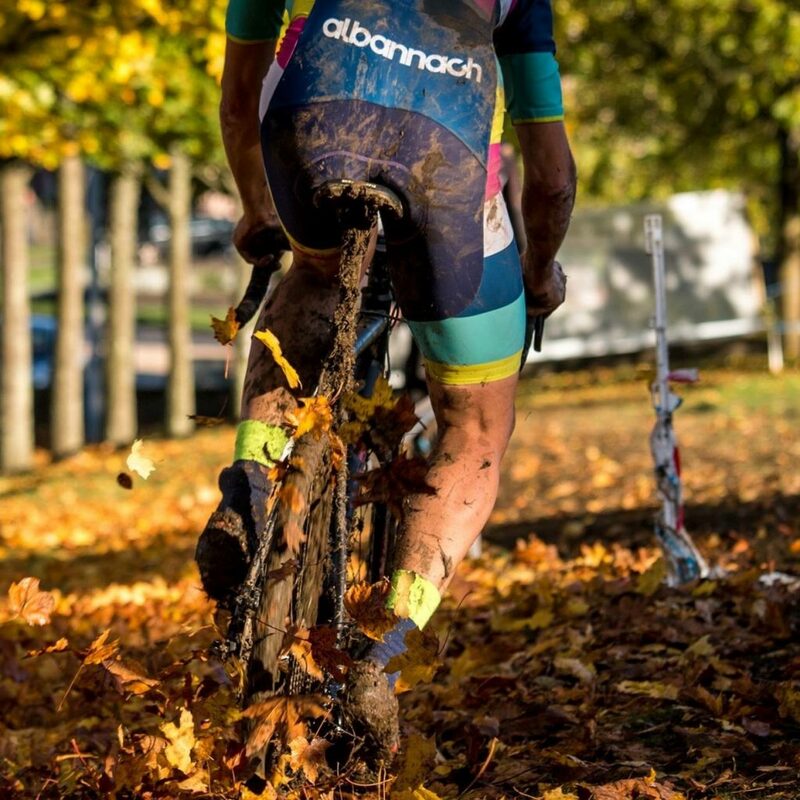 They are usually pretty easy to spot as they ride with a big multicoloured unicorn on their backs, the Unicrois of Alba; Scotland’s national animal and the club’s chosen spirit animal of cyclocross. Neil and some of the other riders in the club have started the tradition of big rides for milestone birthdays. They seem to more often than not end up getting a bit epic. The riders have battled the elements hiding in shops whilst roads have turned into rivers or having way more than their fair share of punctures and mechanicals. 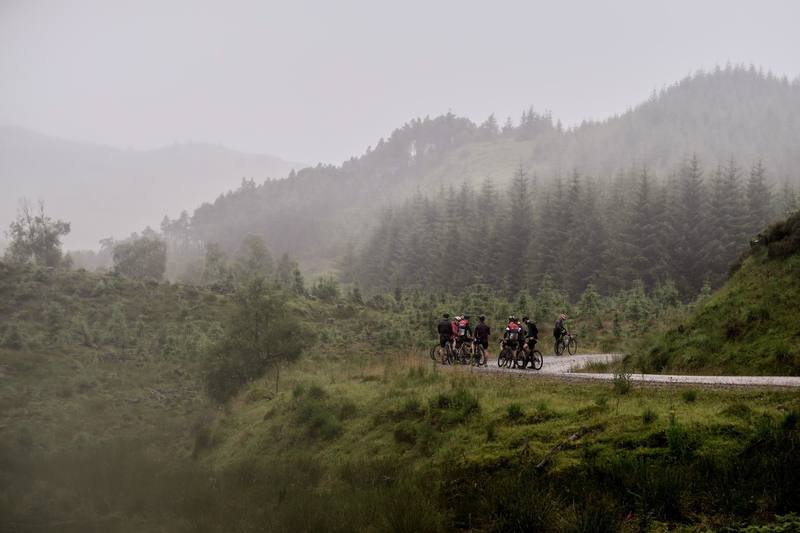 Neil tells us about the most recent of these rides, an epic slog they christened “300 for 30 – the Highland Raid”. “As is becoming a tradition for Albannach, we’d planned a 300-kilometer (186-mile) ride to celebrate one of the team’s birthdays: Leo’s big three-zero. Around 12 of us planned to meet in Auchterarder and head towards Loch Earn and Loch Rannoch taking in as many quiet lanes as we could as well as some pretty epic climbs including the Kenknock, Kenmore and Schiehallion climbs, two of which having gradients around 20%. 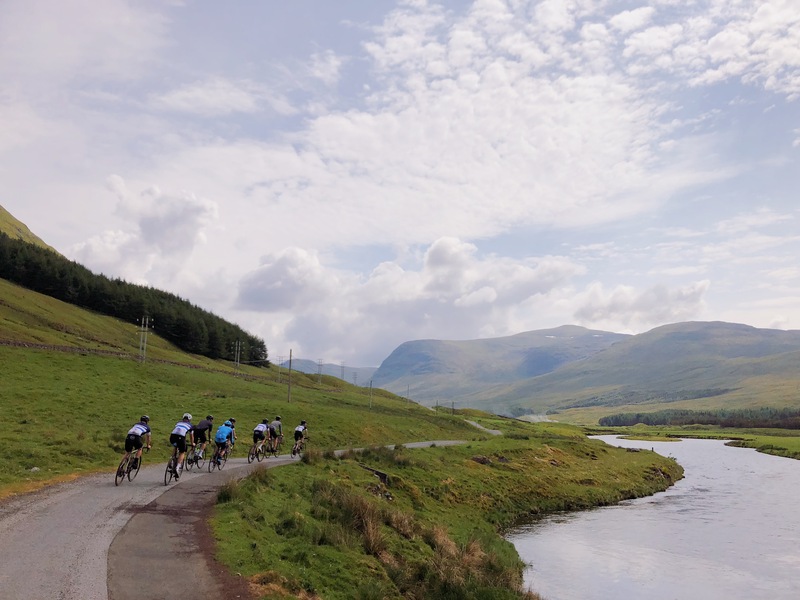 We had dubbed this route “The Highland Raid a few of the team had ridden some of the roads before, but most of the route was new territory to the rest of us. There was a touch of rain when we started out, something that’s become a sort of tradition on our club rides, although this soon lifted and the sun came out. The summer has been absolutely phenomenal in Scotland this year and today was living up to our expectations. Having made it a grand total of 40 kilometers (24 miles), the first of the punctures started. Birthday boy Leo was the first casualty, unfortunately picking one up in a nice sheltered spot on the south side of Loch Earn; a place inhabited by a few thousand midges. You’ll find out how quickly you can fix a puncture when the midges come swarming in! All fixed up and on the move again, we started climbing up towards the Rob Roy Way, an old train line with exceptional views across Loch Earn towards Killin. This was when the unintentional singletrack kicked in. It’s quite common for an Albannach ride to include plenty of mixed terrain, so we’re fairly used to getting odd looks from people when flying around the hills on drop bar bikes. However, none of us had taken the cross bikes as this was supposed to be a road ride. That being said, this section turned out to be a whole lot of fun, albeit it an expensive one in terms of inner tubes. Eager to move on, we quickly replace any punctured tubes, refueled in Killin, and headed onwards—towards the highlight of the ride. Turning left after Killin, we headed up Glen Lochay with its superb rolling road that leads towards Kenknock. A short but beastly climb greeted us: 3 kilometers (1.8 miles) long and with gradients between 9.5% and 23%. At the top, we were rewarded with an absolutely stunning descent into Glen Lyon and the small community of Pubil. The road along Glen Lyon towards Kenmore is one of the best I’ve been along: It’s super quiet with stunning views, and the landscape was absolutely incredible.. It truly makes you glad to live in Scotland—and also slightly embarrassed that you’d never been here before. After refueling in Kenmore, we weighed-up our options: the singletrack had been tough on our supplies of tubes (we’d had a total of 9 punctures between the 12 of us), and the constant repairs had slowed us down a fair chunk. With over 150 kilometers (95 miles) still to go—and only 2 tubes remaining—we decided to cut the route short and head for our second big climb of the day. Loch Rannoch and the Schiehallion climb will have to wait for another day. The Glen Quaich climb from Kenmore fires straight up from the shores of Loch Tay. The road is narrow, though thankfully drivers coming down the hill understand the effort you’ve been putting in just trying to stay upright and usually pull in for you. The climb flattens slightly before cresting the hill—right before you head back down again towards Loch Freuchie. Again another cracking climb with an amazing decent; just watch the speed bump right at the bottom of the hill! !